Building a well designed, passive solar house can mean comfort i . .
On the radio the other day they had a fella espousing the terrace for suburban living and that we should go back to examining this scale of dwelling as it allows for community within a fairly population dense urban scene. It also allows yard space, something that has been totally ignored by the “McMansion”. Having no yard or outdoor space wouldn’t be that bad if the burbs had been designed with more communal garden space and green corridors but unfortunately that has not been the case. With all the room in the mansion the inhabitants are effectively imprisoned with very little contact within their neighbourhood. So three cheers for you. Hopefully this will contribute to a revolution in how we see our homes fit not only within the landscape but within a community. 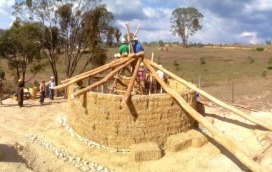 Look to Straw Bale. Passive solar oriented Straw Bale is heated winters, cooled summers for free in Canada. 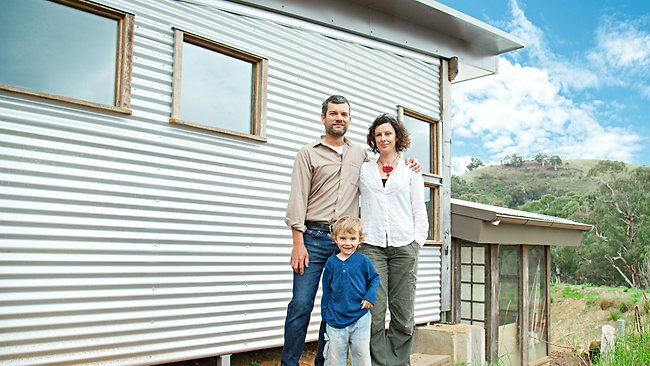 We build them for near nothing – local untrained folk cand build a home in a weekend. Very inexpensive and durable over the years. I am one of 7 children. 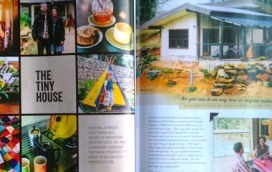 When I was very young we lived in a two bedroom house for a few years. My folks had one room, two sisters got the enclosed verandah, the youngsters (3) shared a room and my brother and I slept in a caravan. The trick was to spend as much time outdoors as possible. The idea that you need a massive house is a little sad to me because it means you want to be indoors and probably alone. Get out there and live a little. I love that about being or not being part of a back lash. I know you were being a bit funny, but it’s also an interesting comment on how, on the one hand, we can be pigeonholed to be something we’re not, fit within some defined group, and on the other, we can be part of a cultural movement and change without necessarily being deliberately or even consciously engaged with it (not that I’m saying you aren’t engaged, but you know what I mean).